Last week I tested the new Team Orion engine. I was breaking it in and getting some practice for Neo13. 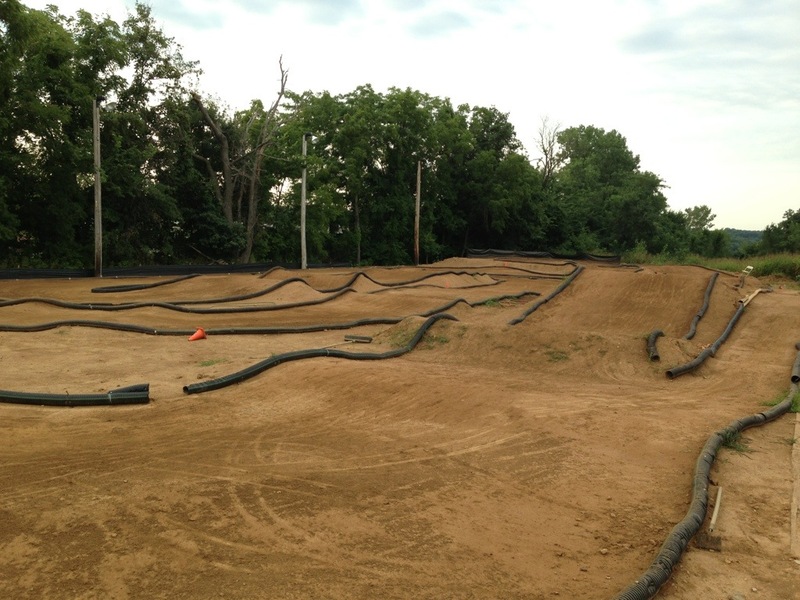 My favorite part about moving to the Midwest (racing wise) is getting to go to the track all by myself. 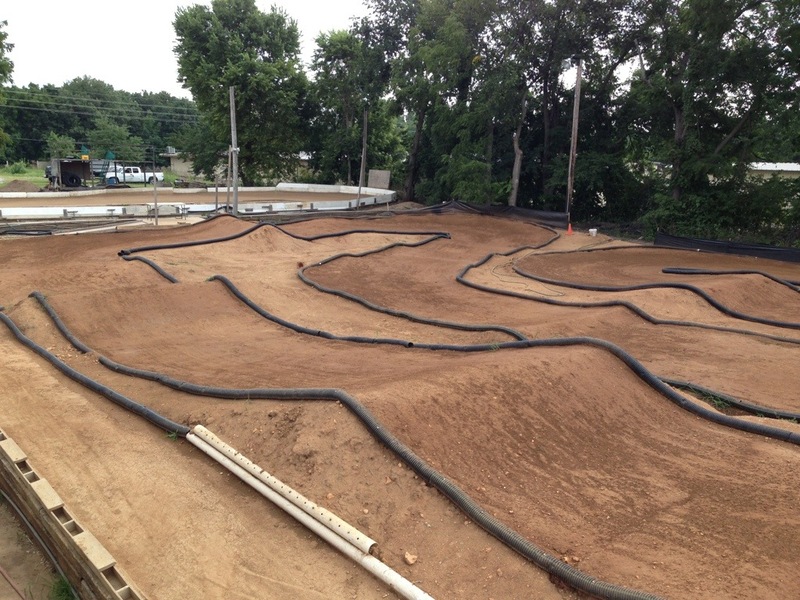 There is an unique peace about a freshly watered track, the trees in the background, and 1 buggy going around the track. I got 2 days of running and got the engine all broke in. It’s the newest engine from Team Orion. 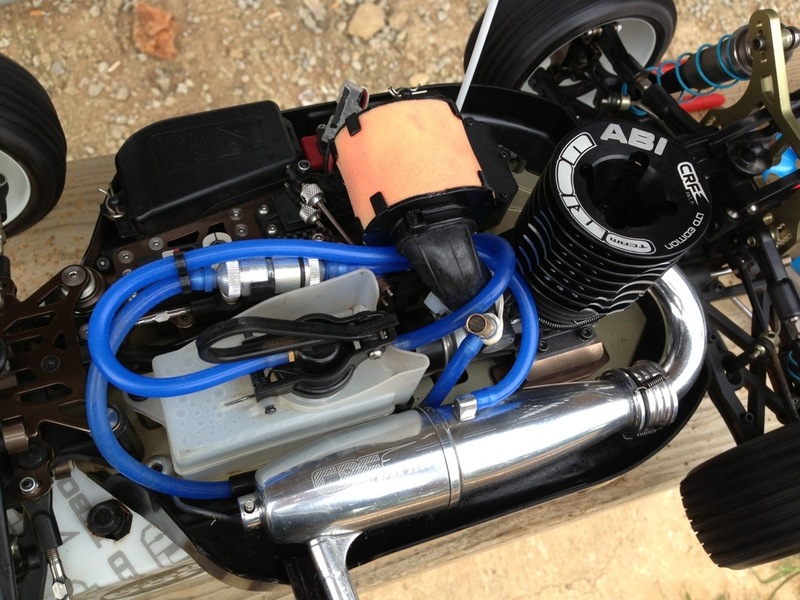 David Ronnefalk used this engine to TQ and win the Euros this year. It started out pretty tight, but after about a gallon of fuel through it on the track, it was screaming. Hopefully it will perform well in England. I get my greatest peaceful moments when I get out to the track before Chuck is in the hobby store. I bust out my tailgate pit setup and hit the track. Gotta love it. Haha. It’s really not too bad, I just need to build in a Kyosho canopy and I’d be completely legit!!! Good luck at Neo 2013, it will be your 6th Neo win. 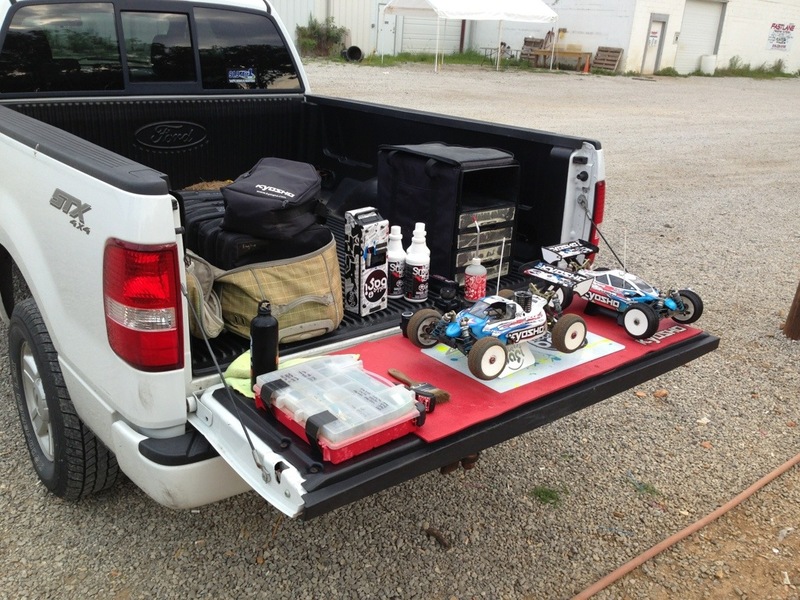 Jared, I would love to see a video on how you clean your RC cars. I need to upgrade my blog so I can upload videos. I don’t do anything special. I just clean them often. After every time I run on the track. I don’t use any spray either. Just brush it off, and and damp rag with water. To me the sprays are not that good on the cars. Hey Jared, curious as well how long a set of bearings etc. last for you in your MP9s? Do you change these often or mostly clutch bearings? I realize it’s hard if not impossible, to give a “perfect” answer to that but what the heck 🙂 I think maybe I change them too often and wrench on the car too much for maintenance vs. just driving it and giving it a quick cleaning afterwards for a few outings. 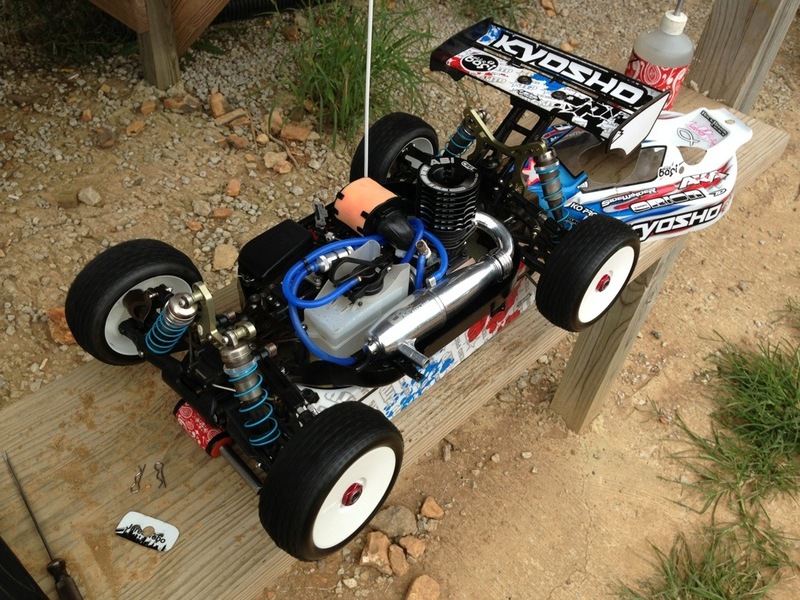 The stock KYOSHO mp9 are very good. I will use the same bearings in about 2-3 cars. When I rebuild my car I just clean the bearing with a rag and then add two drops of bearing oil. They last a very long time. They even get more free after the first clean. I would say that’s around 10-15 hours of actual driving. Good maintenance is making sure your car is free. The drive train rolls smooth, arms are free with shocks off. Out drives not too notched. Universals not worn really flat. Out drives and universals should be changed at the same time. Shock orings are smooth. And clutch is not too warn and rubbing on clutch bell. Also clutch bearings are smooth. I have noticed the bearings that come with the MP9 are better than most other kits I’ve built, as well as the drivetrain in general is very free and smooth. Very good information actually, you exceeded what I thought might be a reasonable answer 🙂 Thanks!